Zendesk Explore provides analytics for businesses to measure and improve the entire customer experience. With Zendesk Explore, you get instant access to the customer analytics that matte, and the deeper understanding of your customers and business that comes with it. "Zendesk Explore Viewing all type of communication at one place"
Provide a wide variety of operation in the data to show on dashboards. Like we can use Variance and standard deviation on data to be used in queries for creating charts and dashboards. We could easily change type and query for metrics. The best part is that some of the charts are auto-generated. Faced some issues like when fields contain special character like ")". There are some of the features or functions for custom metrics that are found in Insights but not available in this. You could use it for keeping track of different things according to your specific requirements. This has a similar use case like reports and dashboards created in Salesforce. Created charts for showing the tickets according to the status. Keep track of various status. To know the key points responsible for loopholes. I like that Zendesk Explore is the only tool that I need to satisfy customers. I do not dislike anything about this product. I think that it's 100% excellent and efficient. I f there's anything in the future, I will let you know. I would definitely recommend Zendesk Explore to others. I am helping customer solve problems and making sure they're satisfied. I think customers also like the service that we provide and Zendesk makes that possible. What Other Analytics solution do you use? we enjoyed that this software was already familiar to us because of the various other zendesk programs we already have in use. the graphics, language, and layout are typical of zendesk and very easy-to-use. it garners more data in more unique areas than than we used in the past and the output is excellent to add immediately to presentations and other areas for easy and quick review. there was not much that we disliked about this software, we did ht a few snags in set-up but that was time-limited. i imagine that if one is new to the zendesk set of software, there might be a learning curve, but that should not be an issue. Go for it, it is easy, valuable, and a more nuanced way to mine consumer data. we loved being able to gather more data from the customer experience than we had in the past, in more nuanced areas that we think was not captured by other software. there is more data than we could initially utilize, which was great and allowed us to gain more answers for the detailed questions about the consumer base. It makes gathering the metrics for individual teams very simple and intuitive. I like how easy it was to pick up the program and how easy it is to master and manipulate to your teams individual needs. Monitoring and driving agents to meet metrics and feel our eyes on them at all times so that they give their best to the queue and are more productive. "Create data reports with easy directions to follow provided by Zendesk"
Honestly, I haven't gotten to a section that I don't like. 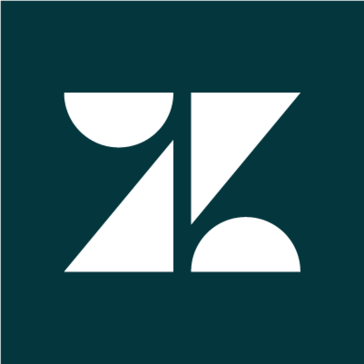 I primarily use this for simple data sets and alot of the functionality is already provided up front by Zendesk. Have detailed conversations with Zendesk representatives about customizability. They seemed to oversell the functionality. If you are looking for something easy to use and something to compile customer data into a good beginning start, this is a good software to start with. Zendesk Explore provides a fast and easy way to create dashboards and reporting to see day to day metrics. I dislike that it doesn't have the option to click on the tickets that the agents have already worked on to take a closer look. We are solving reporting issues and ways to track metrics. "My review on zendesk explore "
"Good if used properly "
I like how you can track incoming tickets and how we can run analytics and statistical reports. I don't like how if someone responds to an email on the user side, but the ticket has already been closed, it creates a new ticket instead of opening a new one. We we able to pull reports for clients using the statistical reports. We were also able to track a large amount of income requests in an organized and concise way. "Zendesk Explore has a steep learning curve, but it's worth the investment"
I enjoy how the interface is very similar to Zendesk's primary product suite. We used Zendesk for internal ticket resolution and upon upgrading to Zendesk Explore, we learned about the full functionality of the product suite. If you are currently using Zendesk for internal ticket tracking, it's a logical upgrade. We are using Zendesk Explore to track resolution of customer issues and provide better performance metrics to our team. "Makes Zendesk a lot better"
Explore is heaps above Zendesk Insights feature. Right away you can tell there is more acuracy and functionality. Finally having metrics from the source. Gives us great busy insights without having to attach another 3rd party to the API to get basic metrics. Consistency: Very few service outages and very little change in UI and product structure. Both of these things create a more familiar and consistent workflow. Innovation: Zendesk seems to have done all of its innovation years ago as the product has achieved a plateau of functionality of features Support: I very much dislike Zendesk's support set up. Tremendous scaling benefits. Adding more users is not just easy, but we have recourse to ensure that our teams can grow at their own paces without worrying if the software can keep up. Zendesk can absolutely keep it; it does not even flinch. The ease of use within my current organization is unlike any other ticketing system I have used in an enterprise environment. All of our different departments use it. There has never been any need for training. The interface is great and user friendly. "Excellent Tool for Customer Analytics"
"Great product, but can use some work"
The ease of use for our reps - we can easily see ticket histories, old data/tickets, etc. "Great tool for analyzing our quality of customer service "
The interface is super clean and makes it easy to track our analytics and use that data to improve our customer service process. The price is a lot for a team our size. I'd recommend it. Really easy to use, especially for less tech savvy people. We're able to solve a lot of problems by being able to filter our data by a lot of different sub categories. We can also export our data into different software tools we use. This is a nice easy to use platform and UI that allows easy access to view all the past tickets and items that have taken place in that ticket. There are few drawbacks to this product. It may be expected, but there is some heavy lifting setting up Zendesk. The utilization of zendesk as a whole and its features has allowed for better communication with clients and more efficient tracking of issues both open and closed. "Zendesk is the way to go!" It gives you stats and analytics of your customer support. It also gives suggestions of what can be improved in your customer support. I wish there was a page where you could view your agent analytics separately. So many.. it gives you stats of why customers are reaching out. If too many people are reaching out for the same issues, you can find a way to fix the issue to decrease tickets. That we can communicate between internal and public on the same ticket easily. Not being able to solve the ticket out without it being assigned to you/someone. Which makes it hard for your team to see some thing pop back up. We are able to keep track of orders, reach out to clients, and contacts. It summarizes a lot of complex interactions with customers. Graphs them too. More features and complexity than our small shop needed or could leverage. If you have a large number of customers this will probably be very helpful in making sense of all the noise. "It gets the job done! " I think faster response times could help! Though that may depend on the company. It also times out easily. It provided real time customer service for our team and helped escalate issues. Zendesk has some powerful features for support. I like the UI because it was simple and easy to use. I did not like the support for the product that much. They were kind of slow. It is an intuitive platform for data analysis. Overall the product is spot on. Work through all the trainings to utilize it to its full capacity. Fully train your staff to utilize it to its full extent. Expansion of product through data analysis. It was easy to create charts and dashboards. It provided quick analysis of our zendesk data and was able to drill down to it. I really enjoy the interface of the software. I don't have any complaints with Zendesk Explore. allows us to track our client's experience within our company. * We monitor all Zendesk Explore reviews to prevent fraudulent reviews and keep review quality high. We do not post reviews by company employees or direct competitors. Validated reviews require the user to submit a screenshot of the product containing their user ID, in order to verify a user is an actual user of the product. Hi there! Are you looking to implement a solution like Zendesk Explore?